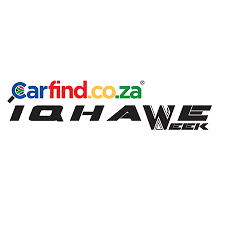 The Golden Lions, Eastern Province and the Griffons delivered another round of strong performances in the second round of the Carfind.co.za Iqhawe Week for Under-15’s on Tuesday at the Bill Jardine Stadium in Johannesburg to remain the only unbeaten teams in the competition. Hosts, the Golden Lions, and Eastern Province earned back-to-back wins as they defeated the Pumas 24-22 and Western Province 28-26 respectively, while the Griffons drew 15-15 against neighbours, the Leopards, in a tightly contested match. A missed conversion by the Pumas on the stroke of fulltime saw the Golden Lions secure a narrow 24-22 victory in a nail-biting match, in which the teams were level on 17-17 for several minutes in the second half. The teams threw everything at one another from the outset, which resulted in a physical battle from start to end. Both sides crossed the chalk three times in the first half and added another in the second, but the Pumas opted to touch down in the corner in the final minute, which made for a tough conversion, and this cost them a draw. Eastern Province and Western Province were also involved in a tight tussle, as both sides ran hard on attack and tried to force their way onto the front foot. But a late try by the men from Port Elizabeth earned them a narrow 28-26 victory to remain unbeaten. The team from Port Elizabeth trailed 21-19 at halftime, and ended up scoring only three tries to Western Province’s four, but another good kicking display by Wessie Odendaal, whose two conversions and three penalty goals saw him rack up 13 points, proved crucial in the result. The Griffons scored a try on the stroke of fulltime in their clash against the Leopards to register a 15-15 draw, as both sides crossed the tryline three times. The Leopards took a 5-0 lead at the break, but five tries were scored in an action-packed second half. A strong second-half showing by Boland paved the way for their 22-5 victory against Free State. The teams were level at 5-5 at the break, but Boland stepped up their attack and defence, which saw them add three tries and deny the opposition from adding to their score. Emile Manuel and Jatean Arriesens finished the match with braces. The Sharks also found their rhythm after the break against the Valke to power their way to a 21-12 victory, thanks to three tries and a solid defensive effort. 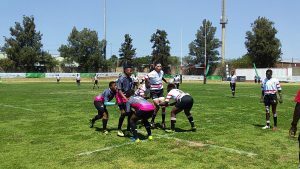 The Valke touched down twice in the first half to build up an encouraging 12-0 lead, but they were unable to add to this as the Sharks stood their ground on defence as the match progressed. The Blue Bulls bounced back strongly from their first-round defeat to pip Griquas 21-19 in a gripping clash, in which a successful conversion proved to be the difference on the scoreboard. Griquas held a slender lead early in the second half, but back-to-back tries by the Pretorians nudged them into the lead, which they held onto despite Griquas crashing over once more in the dying minutes. A hat-trick by SWD’s Nevon Freysenberg, meanwhile, steered them to a 31-28 victory in a hard-fought match against Border. SWD cruised to a 26-0 halftime lead thanks to their skilful attack, but Border fought back strongly after the break to score four tries to one by the George outfit. Their comeback, however, was too little too late. The teams will have a well-earned rest on Wednesday, and return to the field on Thursday in the final round of matches, where the Golden Lions and Eastern Province will battle it out in the final game.